If It's Too Loud...: Julia Jacklin - "Pressure to Party"
Julia Jacklin's latest single, "Pressure to Party," is her most fun solo song yet. Most of her solo work tends to be on the singer/songwriter folk adjacent side of things, of which she has reached complete perfection, and we're huge fans. "Pressure to Party" is a bouncy, fun, 90's style alternative pop-rock song. There's is still enough of her Americana feel to keep things from going all out Letters to Cleo or Veruca Salt, and keeps the track from sounding like a alt-rock throwback. It's a slight style change more on the lines of her music with Phantastic Ferniture than her usual solo material, but you'll hear no complaints here. You can watch the absurdly fun video for "Pressure to Party" below. It's a one shot video that stars Jacklin's siblings and the band Body Type, and really is a must watch. Julia Jacklin's new album, Crushing, will be out February 22 on Polyvinyl. 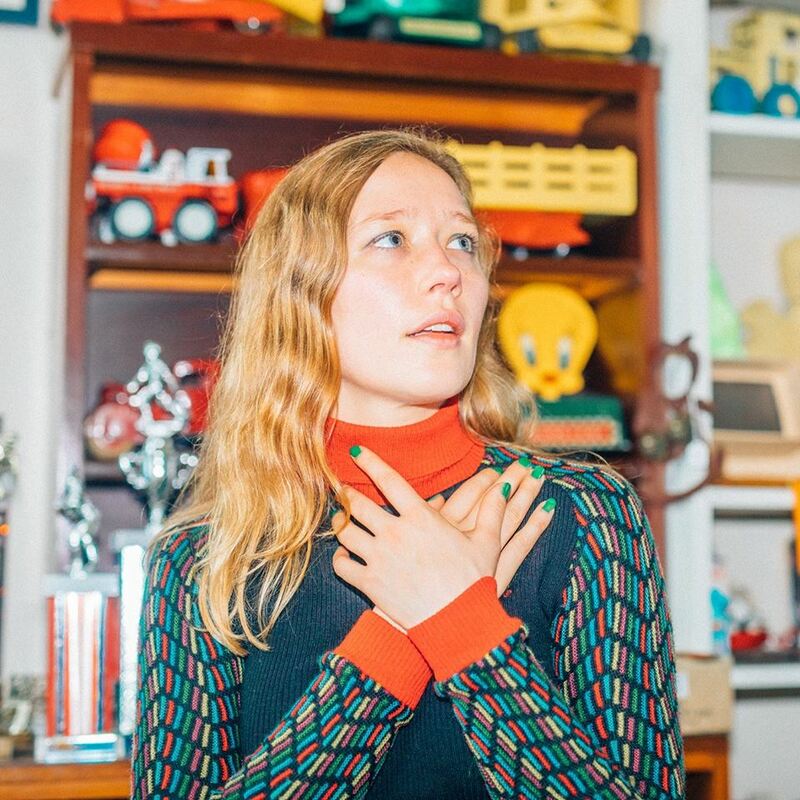 For more on Julia Jacklin, be sure to check out her website.